Less talked about, cancer is the leading cause of death amongst dogs. 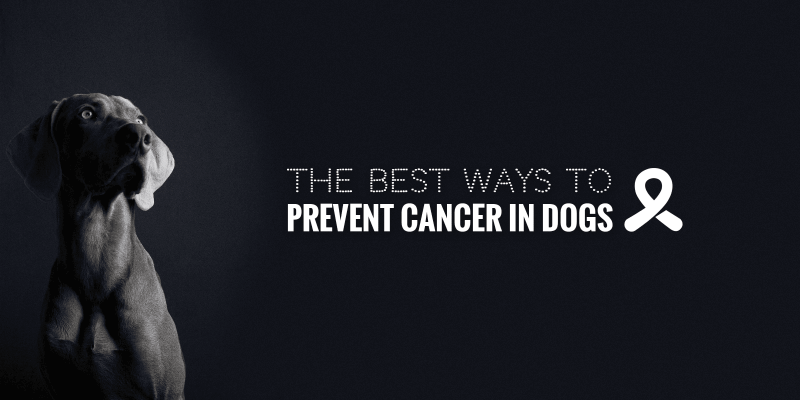 Around 1 out of 3 dogs will suffer from cancer in their lifetime which is a similar number than men. The different types of canine cancers are many and mimic those found in human beings, with mast cell tumors being the most common cancer found in canines. Just like in humans, cancer in dogs is heavily researched and although there is not a cure for each type just yet, prevention is the most appropriate approach for dog owners. Indeed, common causes of various dog cancers include genetics, diet, exercising, lifestyle, environment, and a lot of additional factors that may be less common (e.g. daylight deprivation) or more controversial (e.g. vaccines). Adding to the direct causes are the indirect causes of different cancers in dogs such as separation anxiety disorder in dogs and other mental health problems. These will generally lead to a serious lack of appetite, unhealthy weight loss, and often lethargy. When you are about to pick your puppy or dog, you must carefully analyze the pedigrees of the various litters you have shortlisted. 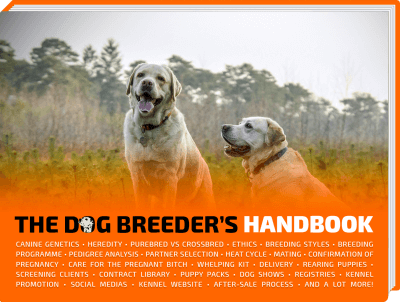 Although cancer will not be clearly indicated in the pedigree itself, calling the owners or breeders should be able to help you in your quest for information. In the same way that humans may be likely develop certain cancers depending on their genetic history, this same rule can be applied to dogs. Cancer is the leading cause of death in dogs, but certain pedigree dog breeds are more likely to develop cancer than others. For example, Rottweilers, Great Danes and Labrador Retrievers all have a higher prevalence of cancers than breeds such as Border Collies, Dachshunds and Beagles. In general, research suggests that smaller breeds of dog are less likely to have a predisposition to cancer. Meanwhile, larger dogs such as Saint Bernards and Great Danes run the highest risk of developing some of the most serious forms of cancer. This includes Osteosarcoma (bone cancer) for which the prognosis is very poor. Although some breeds are more prone to cancer than others, no breed will be completely safe from it due to its unpredictable and complex nature. The same rule can also be applied in reverse — there is no guarantee that your Saint Bernard or Great Dane will contract cancer in its lifetime or that cancer will be its eventual cause of death. But, if you are desperate to beat the odds, then do spend some serious time considering which breed of dog to get. Research suggests that over-vaccinating dogs for viruses such as Canine Adenovirus (CAV), Canine Parvovirus (CPV) and Distemper (CPD) is putting them at risk of cancer. Many pet owners continue to vaccinate their dog regularly well into its old age, but is this entirely necessarily? It is important to note that vaccines in dogs are thought to provide immunity for years or even the entire duration of a dog’s life. At present there is not enough evidence to suggest that vaccinations are essential for the overall good health and wellbeing of dogs. Many vaccines also come in a single size, meaning the same vaccine dosage that is given to a Chihuahua is also given to a Great Dane. Expecting a miniature dog to cope with a vaccine that is also given to a dog several times its size — in hindsight — appears unreasonable. Correlations have been found between certain cancers (i.e. lymphoma and leukaemia) and the over-vaccination of dogs. Links have also been made to other health conditions such as seizures, allergies and anaemia. The effect of too many vaccinations does not always come into play straight away — it is possible for your dog to be affected months or years after a series of vaccinations. There is growing concern about the level of education veterinary staff receive about the adverse effects of vaccines. For this reason, it is important as your dog’s main care provider, to be well-informed yourself. Do your own research and assess the need for yet another vaccination or booster for your dog, because his immune system is not a toy. By being over-cautious you may be doing more harm than good to your pet! When it comes to preventing cancer, spaying (female dogs) and neutering (male dogs) have both benefits and disadvantages. For example, research suggests that spaying a female dog will reduce her risk of mammary cancer significantly, if she is spayed after her first heat. It is further suggested that female dogs who are never spayed or who are spayed after their fifth heat will run the greatest risk of developing mammary cancer. Spaying your female dog will also eliminate the possibility of her developing ovarian or uterine cancer, as the uterus and ovaries are no longer present. Furthermore, by neutering male dogs, the threat of testicular cancer is completely removed along with the testis themselves. Neutering a male dog is also believed to reduce a dog’s chances of developing prostate cancer (as it is often linked to a presence of testosterone), although more evidence is needed to support this theory. Dog owners should remember that although spaying and neutering may prevent and eliminate certain cancers, there are still cancers aside from these that your dog may be genetically predisposed to. Certain cancers are also thought to be more common in spayed and neutered dogs such as mast cell tumors, lymphoma and hemangiosarcoma. When trying to decide whether to neuter to your dog it is best to consider what is best for his overall health and wellbeing — try not to base it on the cancer factor alone. Yes, just like in the human world, there have been numerous articles, reports and claims about which foods will and won’t leave us riddled with cancer. Without extensive concrete evidence it’s hard to know which ones to believe. However, there is no harm in taking expert dietary advice on board and trying to incorporate it into your dog’s diet where possible. If it leads to an overall healthier dog diet, then great! If you are looking to prevent cancer in your dog pay attention to what you are already feeding him. 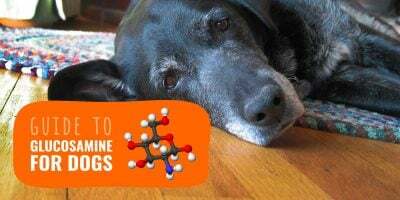 Unhealthy supplements, low quality treats and processed dog foods may all be contributing negatively to your dog’s metabolic processes, opening the door to cancer! These products are also linked to obesity in dogs, which also significantly increases his or her chances of developing cancer. Blueberries — contain ellagic acid which blocks metabolic pathways that may lead to the development of cancer. Pumpkin — contains high levels of beta-carotene which reduces the rate of cancer growth and helps rid the body of cancer-causing substances. Apples — described as an antiangiogenic food that can prevent existing blood vessels forming new blood vessels. When a tumour grows it relies on these new blood vessels — without these it becomes starved of oxygen and nutrients and cannot survive. Turmeric — contains the antioxidant curcumin which can inhibit the development of tumours. Coconut oil — contains fatty acids which are good for your dog’s skin and can eradicate pre-cancerous lesions and arm against cancerous skin growths. It is also thought to protect against certain cancer-causing bacteria. Generally, if you can afford it, feed your dog a homemade diet (raw or cooked doesn’t really matter) over dry or canned dog food. Nutrients are a lot more bioavailable and the overall nutritional profile is incredibly higher. However, it is undeniable that homemade dog food is a lot less convenient while being a lot pricier. It may seem obvious, but a healthy dog cannot lead a sedentary lifestyle. Yes, its true that some breeds may need more exercise than others, but it’s important that your dog (regardless of his or her size) gets 30-60 minutes of daily exercise. Exercise will help your dog maintain a healthy weight and avoid obesity which is linked to cancer (just like in humans). It will also keep your dog’s metabolism ticking over, which is important for the maintenance of vital bodily functions including breathing, brain functions and heart rate. There are various other benefits to exercise such as reduced stress levels, increased efficiency in the removal of toxins from the body and the creation of a more robust immune system. In other words, exercise improves the overall quality of a dog’s life, leaving them less vulnerable to disease generally. Exercising with your dog also solidifies the bond you have together, which is good for both of you! The better you know your dog and the more time you spend with them, the more likely you will be to know if something is wrong with their health. To stop you and your dog from getting bored, it might help to vary the exercise. Perhaps take your dog for runs, walks, hikes, and let him swim if that’s what he enjoys. Try to visit new locations and change the intensity of the exercise — if it becomes a chore you will be less likely to do it and your dog will suffer as a result. Supplements can be part of a healthy, balanced diet for your dog if the correct ones are given. Many dog chews and treats that claim to have added vitamins and minerals are very high in carbohydrates — usually simple carbohydrates to make it cheaper, and worse for the dog. Unfortunately, these are just what cancerous tumor cells need to grow and survive. 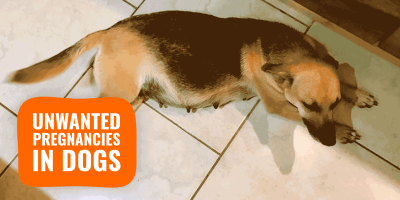 You may end up feeding your dog’s cancer rather than your dog! High-quality supplements (such as dog fish oils) are not a magic cancer cure and they will not necessarily prevent your dog getting cancer. However, once again, they contribute positively to the dog’s overall health which can’t be a bad thing. Invest in some natural protein-packed dog snacks and single-ingredient dog treats and always, start by reading the ingredients list. Both human and dog foods often boast one thing on the front but have lots of hidden nasties in the listed ingredients at the back (and this is usually in tiny print too). A high protein diet ensures that your dog can grow, repair and maintain muscle. As well as looking to prevent cancer in your dog, it is also important to make sure your dog is as strong and healthy as possible. This way, in the event of a cancer occurrence he has the best possible chance of fighting it off. Research has also shown that omega-3 fatty acids (found in fish oils) improve the immune system and inhibit the growth and development of certain cancerous tumours. In our chaotic daily lives, it can sometimes be easy to forget how some of your routine actions may affect your dog. For example, you may walk your dog along a busy polluted pavement each day rather than taking him to the park. Maybe its quicker, more convenient, less muddy? But it certainly isn’t the healthiest option for your dog. Cars may be rushing past, chucking out emissions that your dog is inhaling, unbeknown to you. It is difficult to know exactly what these fumes are doing inside your dog’s body and this is concerning. Pesticides are also extremely harmful to dogs and your dog may be at risk if you use them in your garden or walk your dog anywhere where they have been sprayed. Pesticide inhalation has been linked to an increased prevalence of canine lymphoma. Avoid taking your dog anywhere you know to be heavily polluted by pesticides or exhaust emissions. Stick to parks and open green spaces that are away from main roads and are not used for farming. Not only are there dangers outside, there is also a risk to your dog at home if you regularly smoke indoors or use cleaning products that are not pet safe. Your dog cannot speak to you to tell you how these behaviours may be affecting him or her, so take the initiative and think on behalf of your pet — if you think anything you are doing or using in your home is polluting your pet’s lungs, then make a change! You wouldn’t like it if someone kept you indoors all day every day, so don’t assume your dog is any different. Dogs are Mother Nature’s creatures — they love to run, forage, sniff and explore. When you buy or adopt a dog, his life is in your hands; what they eat, how often they go outside and how healthy they are is all down to you, so don’t get complacent! Daylight has not been proven to prevent cancer directly, but it contributes to overall good health, helping to ward off cancer. For best results, it is recommended that your dog be exposed to changing sunlight and so should be taken out early morning, mid-day and during late afternoon/sunset. If this is not possible due to work commitments, take your dog out at least once a day and ensure that he or she is never left in complete darkness during the day — leave curtains and blinds open. It may also be worth paying a professional dog walker to take your dog out during the day whilst you are at work. Daylight will also contribute to your dog’s mood; he is likely to feel calmer and more relaxed if allowed to frequently interact with nature — you must have noticed how happy your dog is when he is outside. Don’t underestimate the power of the sun, even in the winter! Let your dog be a dog! To some it may sound silly, but your dog’s emotional wellbeing could be linked to how likely he is to develop cancer. Emotional stress can significantly weaken the immune system, making your dog more susceptible to disease. Dogs are intelligent and sentient animals who are aware of negativity in their immediate surroundings. It has been suggested that dogs are also intelligent enough to empathise with human emotion. For this reason, it is important to watch how you speak to your dog and to others in the household. Try not to expose your dog to intense bursts of negative emotion — when you are shouting at your significant other, consider your dog! You may be causing him stress. Your dog may also become frustrated or depressed if he is not walked regularly enough. Dogs do not read books or watch films, but this does not mean they don’t get bored. Physiologically, dogs are designed to be outside, embracing nature. Although they may be happy to snuggle up and have a cuddle with you in the evenings, they still need their own form of stimulation which for them is walking and playing. They also need the benefits from sunlight as discussed above. It would be irresponsible to buy a dog and assume that its life starts when you get home from work — if you are worried about your dog being left alone during the day, consider paying someone to play with him or walk him. The general rule should not be out of sight, out of mind. The problem with many flea and tick products for dogs is that they can contain alleged carcinogenic insecticides such as tetrachlorvinphos (study). Carcinogenic substances are ones that are considered cancer-causing. Many traditional tick and flea collars contained these toxic substances in unsafe levels, which can be lethal if ingested orally or absorbed by the skin. Many of the more modern flea products have higher safety margins following the discovery of their possible cancer-causing ability. They tend to use more naturally-occurring insecticides such as deltamethrin which are considered safer for dogs and humans. Homeopathic tick and flea collars are also being encouraged as they rely on natural ingredients such as lemongrass and peppermint, rather than toxic chemicals. 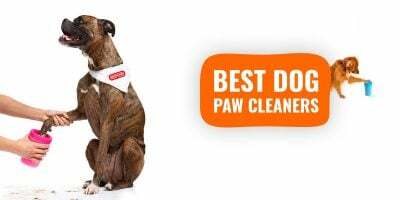 If you wish to buy a flea treatment for your dog always choose the safest, most natural option. As with anything that has the potential to get into your dog’s bloodstream or digestive tract, always tread with extreme caution. Check labels thoroughly and if you are ever unsure about any of the ingredients on the label either look them up or consult an expert. If you have a cat, it is also essential to ensure that any flea or tick treatments you may be using on him are not going to harm your dog. Cats and dogs are physiologically different so what may be safe for your cat may be deadly for your dog (and vice versa).